Cycling UK, formerly known as the CTC is the national cycling charity; it inspires and helps people to cycle and keep cycling. It encourages all types of cycling, on the road or off it. It supports you if you already ride, or would like to ride, to work or school, for health, touring, sport and leisure – or just because it's fun. Members of Winchester CTC range from those who like to ride 10-20 miles to those who ride Sportifs and events of over 1000km. Some members also enjoy touring in the UK and abroad. Winchester CTC is the local group of Cycling UK. 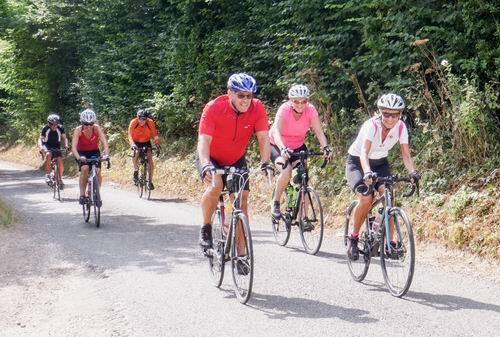 It covers the area in and around Winchester (including Chandlers Ford and Bishops Waltham); however we regularly welcome riders from outside this area. It offers a range of cycle rides throughout the year; the rides range from short, easy rides suitable for novice cyclists to more challenging rides that are longer and faster. Winchester CTC also puts on open challenge events throughout the year; some events are jointly arranged with Southampton CTC. It also campaigns locally for better cycle facilities. Bike: all you need is a roadworthy bike. You'll find life a lot easier on a reasonably lightweight road or touring bike rather than a heavy bike or mountain bike with knobbly tyres. Don't be put off trying one of our rides because you think you don't have the right bike. We can advise on how you can adapt your existing bike and provide expert advice if you want to buy a new one. Clothing: Specialist clothing and a helmet are optional. A light, waterproof jacket is almost essential for the British climate. Otherwise just bring something to drink, a spare inner tube and tyre levers and lights for winter and evening rides. Rides stop for refreshments at regular intervals but you may like to pack a cereal bar or similar as emergency rations. Rides: We offer a full range of leisure rides ranging from short to long at varying speeds. Each ride has a leader who decides the route and makes sure that nobody gets left behind. We also organise open challenge events; they have no leader but you are provided with a full route description.